Yellow and red are so good together in that mustard and ketchup way, and this floral couldn’t be a whole lot cuter. These aren’t the summeriest colors, especially, so I’d lighten things up with a white scoop-neck tee. 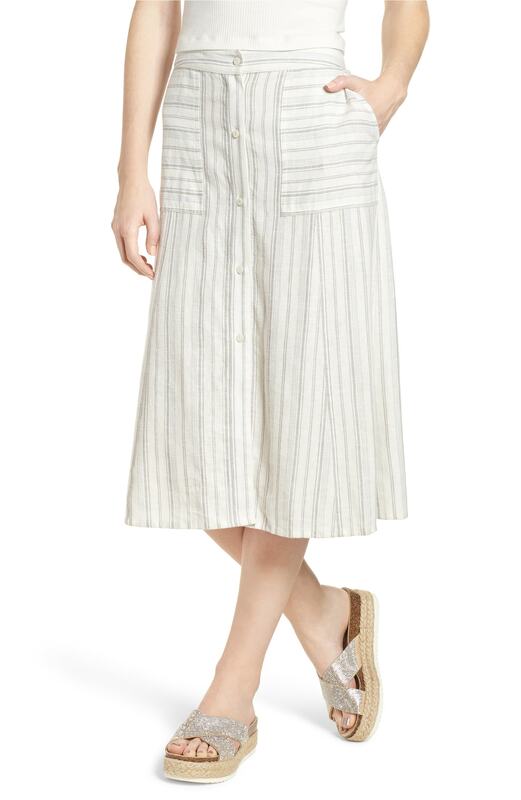 This striped linen is so damn fresh. Another floral, this one with a print that strikes me as fun in a cartoonish way. A sweet and feminine choice. I love skirts, but can’t wear skirts because of the distinct lack of deferential between my alleged waist and my hips. With me in a skirt the frump factor is FIERCE. However, if I could wear a skirt it would be that & Other Stories floral print and the outstanding linen stripes! I love skirts, but can't wear skirts because of the distinct lack of deferential between my alleged waist and my hips. With me in a skirt the frump factor is FIERCE. However, if I could wear a skirt it would be that & Other Stories floral print and the outstanding linen stripes! I’m also ruler straight through my waist and hips, which makes dresses a better option in general. I have found a few nice options recently, and that’s something high waisted with a tucked in shirt, and short enough to reveal some leg. The proportions seems to work better. My 2 cents! I'm also ruler straight through my waist and hips, which makes dresses a better option in general. I have found a few nice options recently, and that's something high waisted with a tucked in shirt, and short enough to reveal some leg. The proportions seems to work better. My 2 cents! What say ye, Girls of a Certain Age? 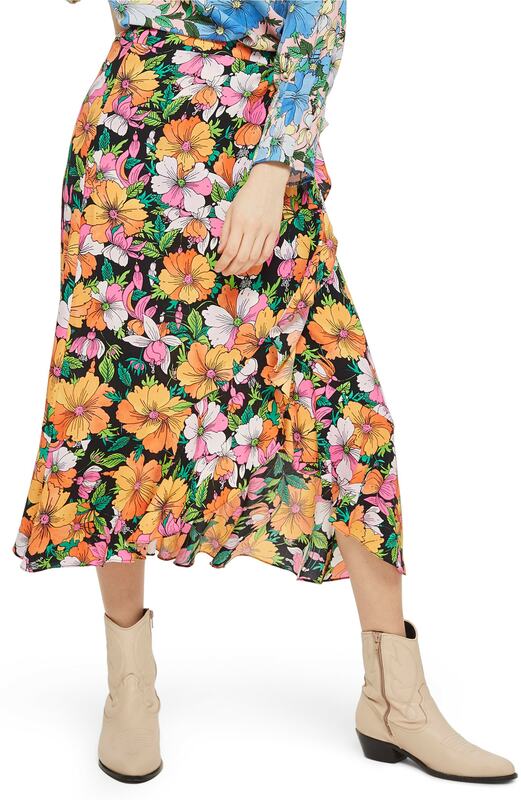 I'm leaning towards this but can't decide if it's too bonkers (just the skirt, not the top): https://www.anthropologie.com/shop/banana-grove-denim-midi-skirt/?color=089&size=6 What say ye, Girls of a Certain Age? I think you can wear a pink bananas skirt if you want! Personally, I love both together. But still green light from me. Why hell not? It’s cute! Go for it! Yes! The colors are great and, to be honest, it doesn’t initially read as bunches of bananas because they’re not that simple, cartoonish yellow. Yes! The colors are great and, to be honest, it doesn't initially read as bunches of bananas because they're not that simple, cartoonish yellow. I kind of love it. But then, I have a skirt with little barbecue grills all over it. I love that one and the green one by Eva Franco for Anthropologie…white tee or white button front shirt/half tuck. I love that one and the green one by Eva Franco for Anthropologie...white tee or white button front shirt/half tuck. 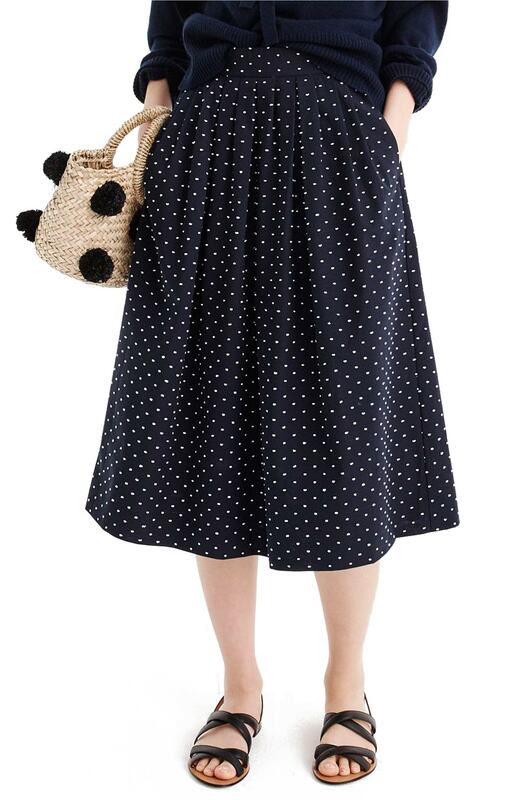 https://www.anthropologie.com/shop/banana-midi-skirt?category=Clothing&color=079 CUTE! I love that one and the green one by Eva Franco for Anthropologie…white tee sor white button front shirt/half tuck. The striped linen (#3) is very Elio’s mom! The striped linen (#3) is very Elio's mom! 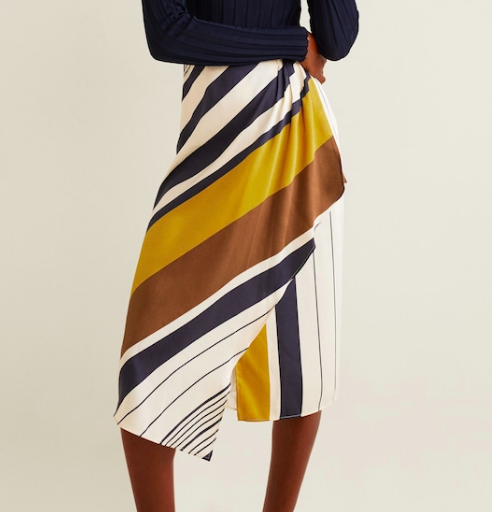 There is a definite late 70s vibe about some of these skirts, which was when I wore skirts a lot. A-line worked for me. Wrap skirts worked for me. So did pattern.